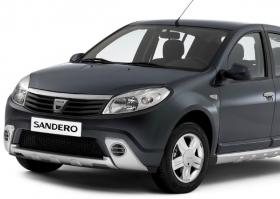 The Renault Sandero may be assembled in Venezuela. PARIS -- Renault is studying plans to carry out final assembly of cars based on its low-cost Logan platform in Venezuela beginning in 2010, through a planned partnership with Chinese automaker Great Wall. Renault and Great Wall de Venezuela signed in mid-June a non-binding letter of intent to carry out a feasibility study on building cars together for the Venezuelan market, a spokesman for the French carmaker told Automotive News Europe. The cars would be built at a factory already owned by Great Wall's Venezuelan partners, near the city of Guacara, in the northwestern state of Carabobo, about 150 kilometers from the capital Caracas. The two companies plan to initially build 22,000 cars annually for the domestic market, with about 15,000 units for Renault and the remainder for Great Wall. Renault's operations would center on final assembly of small Logan sedans, natural gas-powered Logan taxis and Sandero compact hatchbacks, which would be imported as kits from neighboring Colombia. The French carmaker has been assembling low-cost Logans in Colombia since 2005. Cars based on the Logan platform developed by Renault's Romanian subsidiary Dacia are also built in seven other countries worldwide: Romania, Russia, Morocco, Iran, India, Brazil and South Africa. Renault believes that carrying out final assembly in Venezuela will improve its local profile and allow it to radically boost market share. In 2008, Renault sold about 9,900 imported vehicles in Venezuela, which gave it a 4.2 percent market share, according to company data. The performance was a disappointing downturn from results in 2007, when Renault sold 28,400 vehicles, for a 6.2 percent market share. If the Venezuelan assembly project goes forward, Renault is expected to contribute about $10 million of Great Wall's estimated $65 million investment costs for launching local production, executives from the two companies told the Venezuelan press. Renault is expected to take a final decision on moving ahead with the project in the coming months, according to a spokesman at the French carmaker.